Price's written responses have not been released publicly, but were provided exclusively to Modern Healthcare. The responses give a more candid look at the ideas that Price may push for Congress and President Donald Trump to support. Several suggestions are already under consideration in a bill set to be marked up by the House Wednesday. Before the ACA, high-risk pools were prohibitively expensive and covered less than 1% of the total uninsured population in the 35 states that operated them, Hall said. Premiums ranged from 125% to 200% of the average individual plan premium in the state, and deductibles were often much higher than those seen in the marketplaces. In addition, many plans had annual and lifetime coverage caps. “They were not successful in any way in bringing down costs,” Hall said. Former acting CMS Administrator Andy Slavitt said it's unclear if there has ever been a truly successful high-risk pool. He said there is much more evidence that reinsurance programs—which transfer funds from insurers with healthier patients to those with more high-cost enrollees—have worked better. The ACA's reinsurance program ended in 2016, which some actuaries note is part of the reason why premiums increased in 2017, the center said on Monday. Yevgeniy Feyman, a Republican analyst, agreed with Price that high-risk pools could be a strategy to help people with pre-existing conditions, but does not believe that is the only option. A bill introduced Monday and being marked up on Wednesday in two House committees addresses coverage for pre-existing conditions. It maintains the standard that people with pre-existing conditions maintain coverage, but allows insurers to charge higher premiums to those who let their coverage lapse. 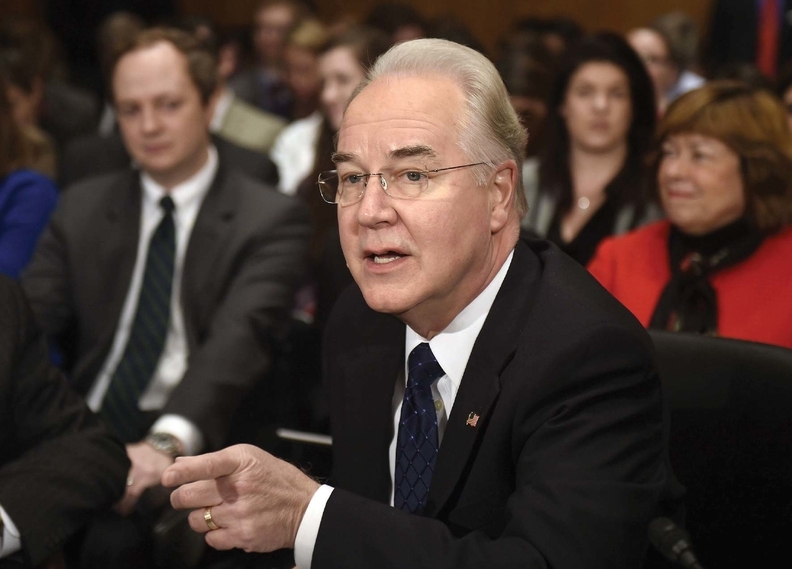 Price also expressed support for capped federal funding for Medicaid. And he shot back at a common criticism that the change would hinder states' attempts to respond to some unforeseen costs associated with public health crises, such as the Zika virus or rising prescription drug costs. Others say Price has a point about having a contingency plan in the event of an emergency. “If states are worried about an emergency event under blocked Medicaid funding, they should plan for it. It is correct to say that if states are worried about funding emergent public health crises out of current funds, they should sock away money in a rainy-day fund for such contingencies,” said Michael Cannon, director of health policy studies for the libertarian Cato Institute. Under the bill currently being reviewed by Congress, Medicaid would be converted from an entitlement program to one that provides a per capita cap on funding to states, depending on how many people they had enrolled. Price's responses to lawmakers also said he felt more states could benefit from adopting an approach used in Indiana's HIP 2.0 Medicaid program, which charges beneficiaries premiums and locks them out if they fail to pay. The HHS secretary said HIP members are more engaged with their providers, less reliant on emergency rooms and more satisfied with their coverage than traditional Medicaid members.